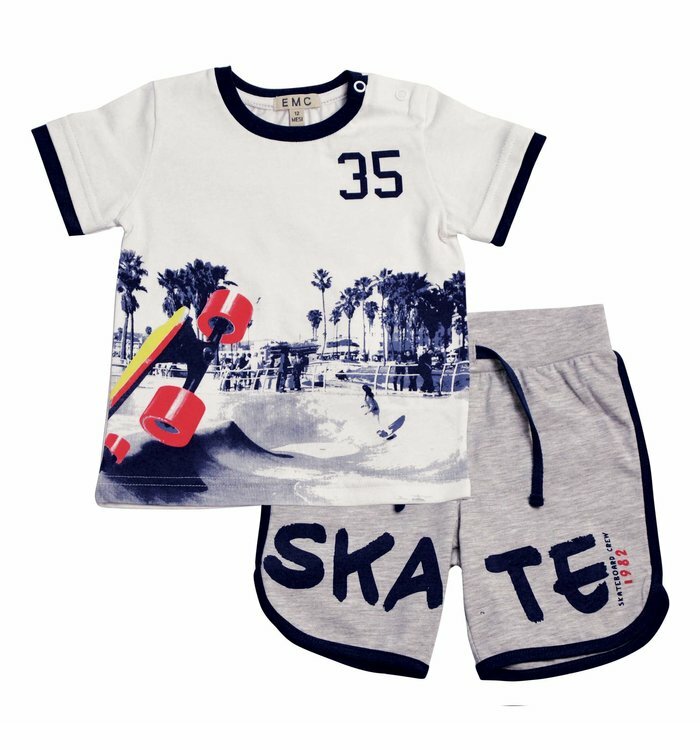 Set including white t-shirt with navy blue imprint and snap buttons at the neck and grey pants. 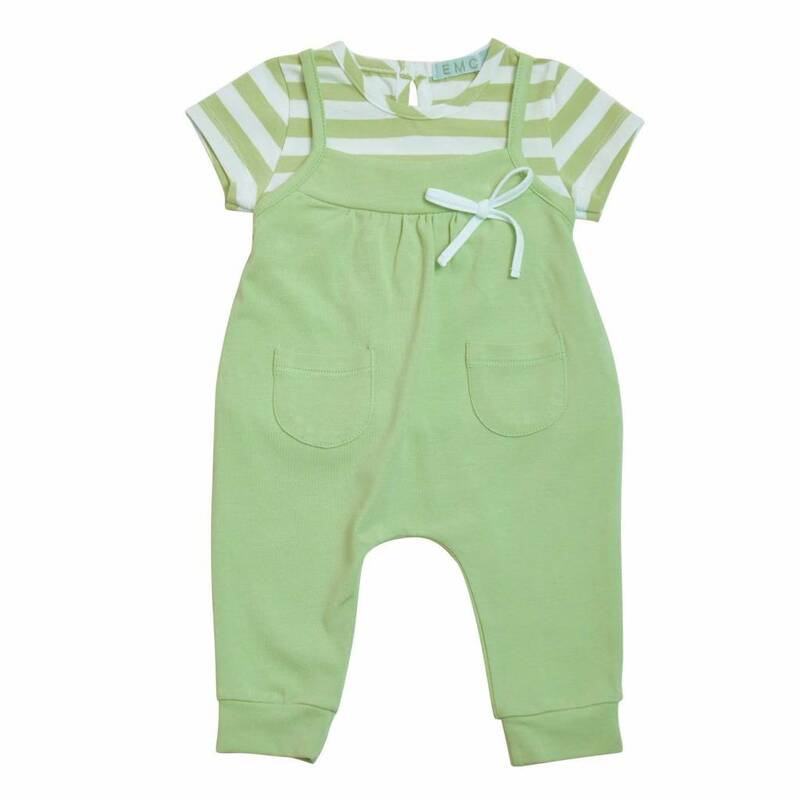 Set including a white t-shirt with snap buttons at the neck and imprint and green pants with elastic waistband. 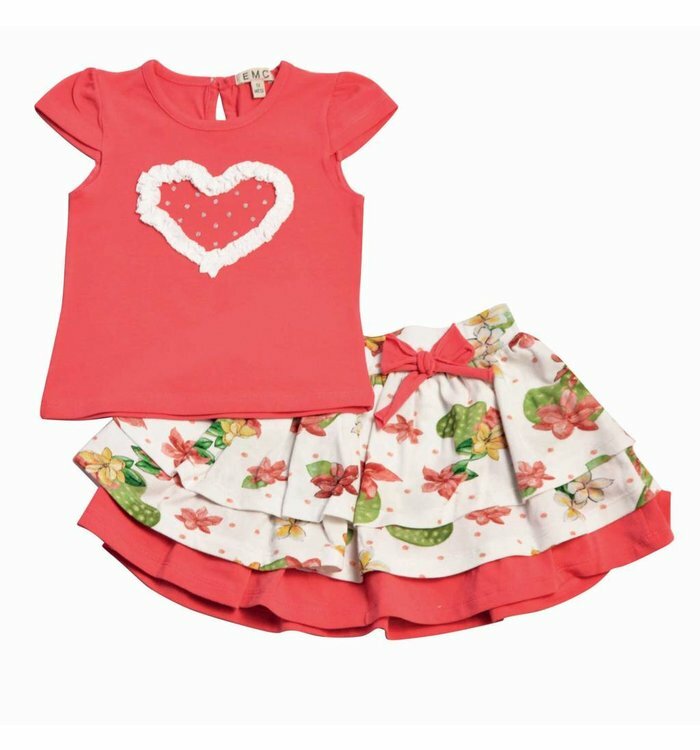 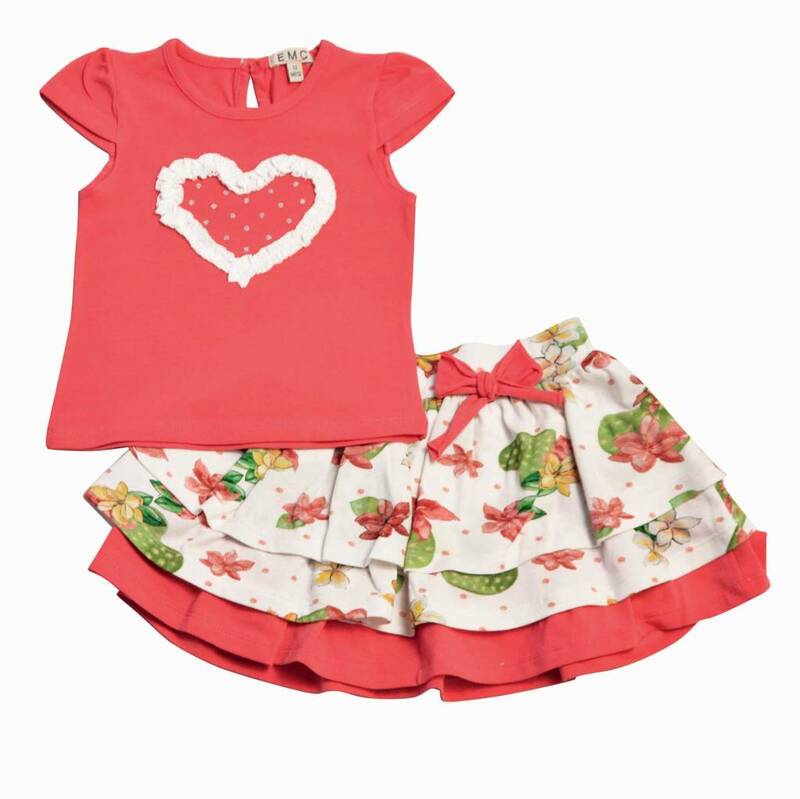 Set including dark pink t-shirt with imprint and a white and pink skirt with flower imprint. 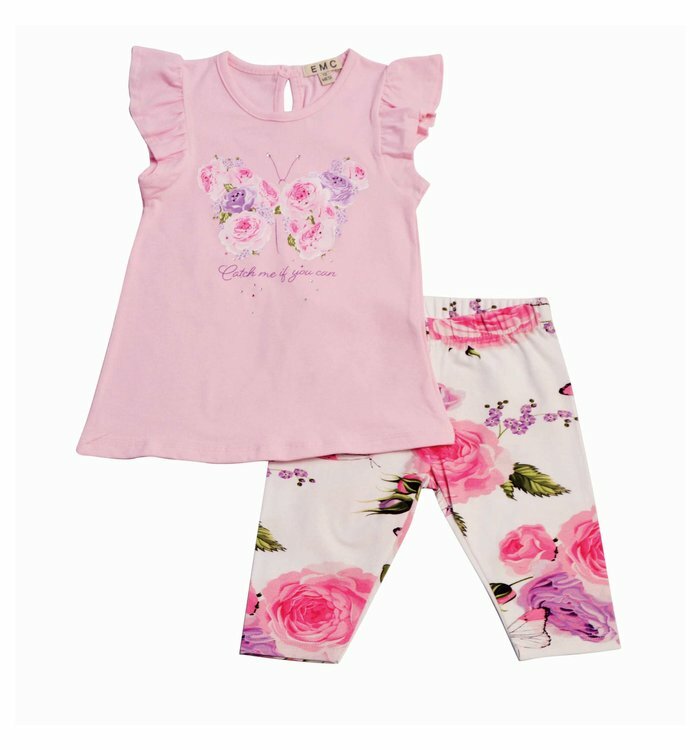 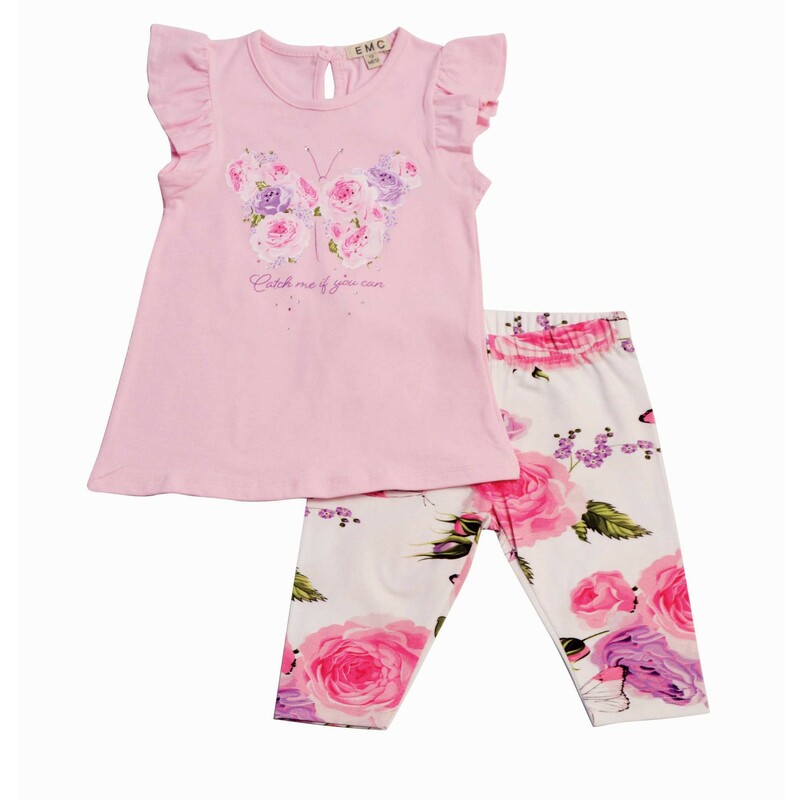 Set including pink t-shirt with frills and imprint and white tights with flower imprint. 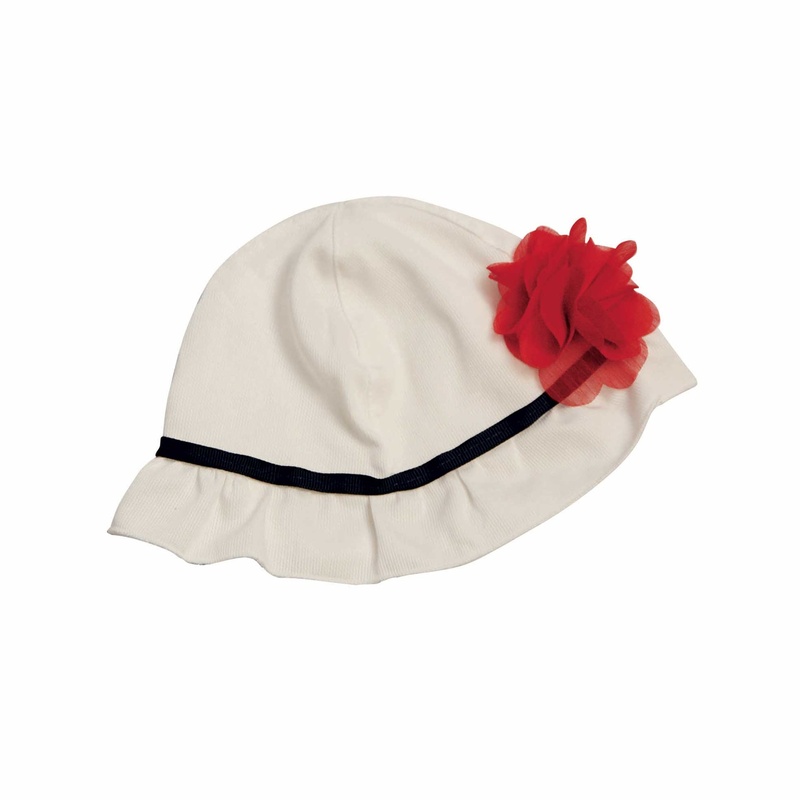 White cotton hat with navy blue stripe and red flower. 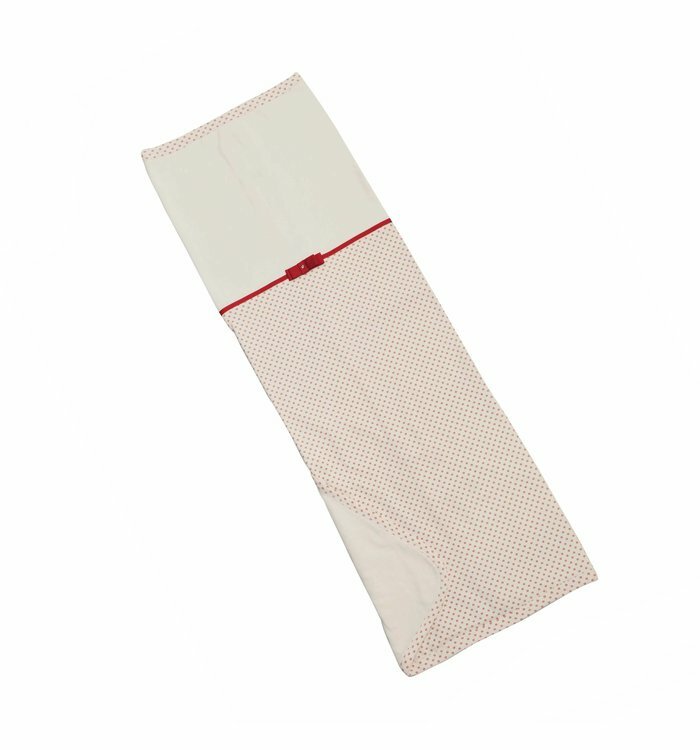 White and red cotton blanket with polka dots. 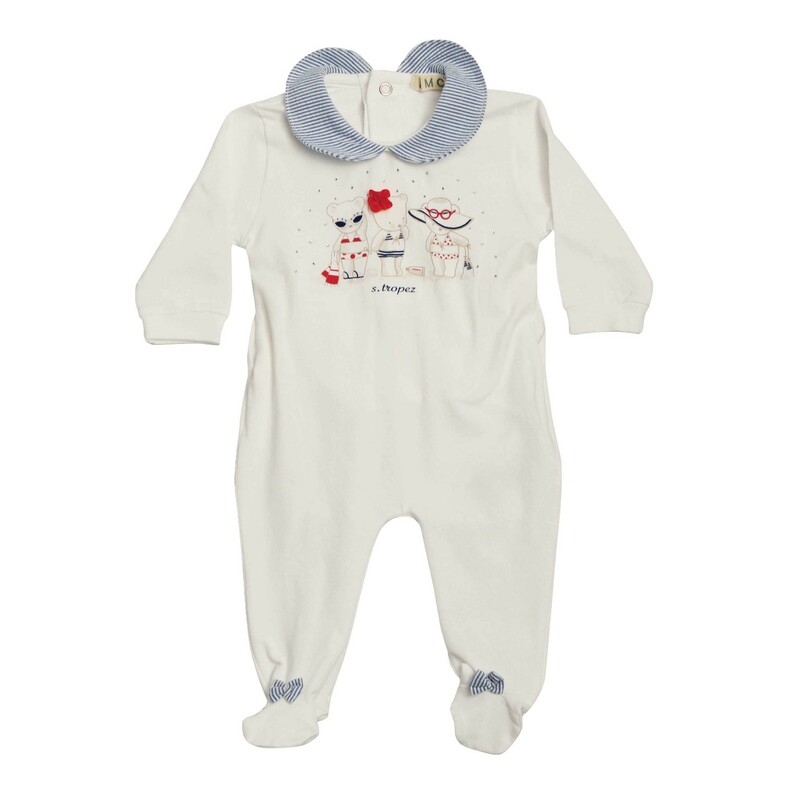 White long sleeve pyjama with imprint and snap buttons on the back. 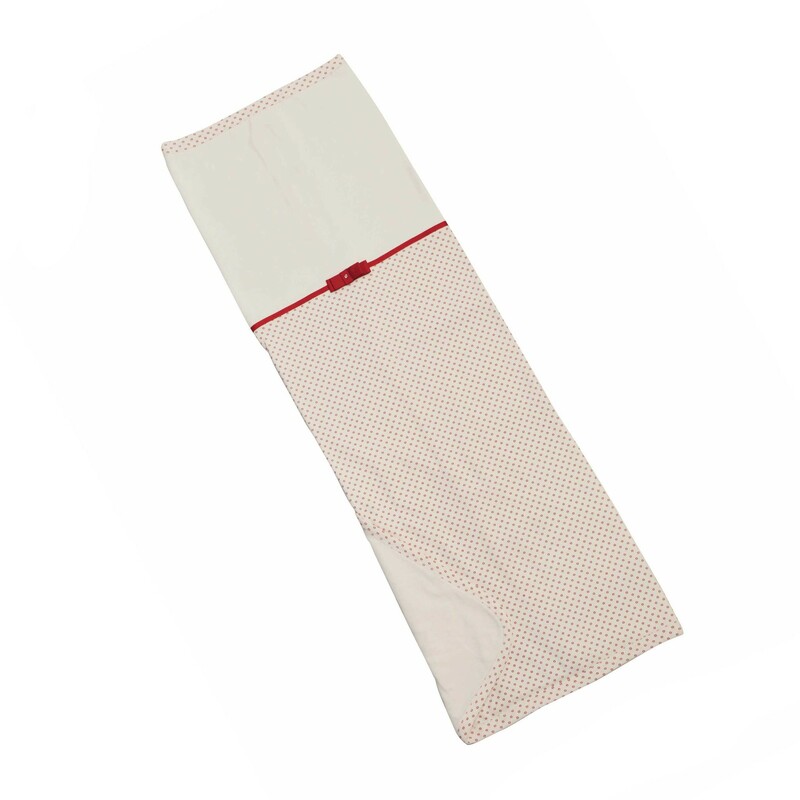 White long sleeve pyjama with red polka dots and snap buttons on the back. 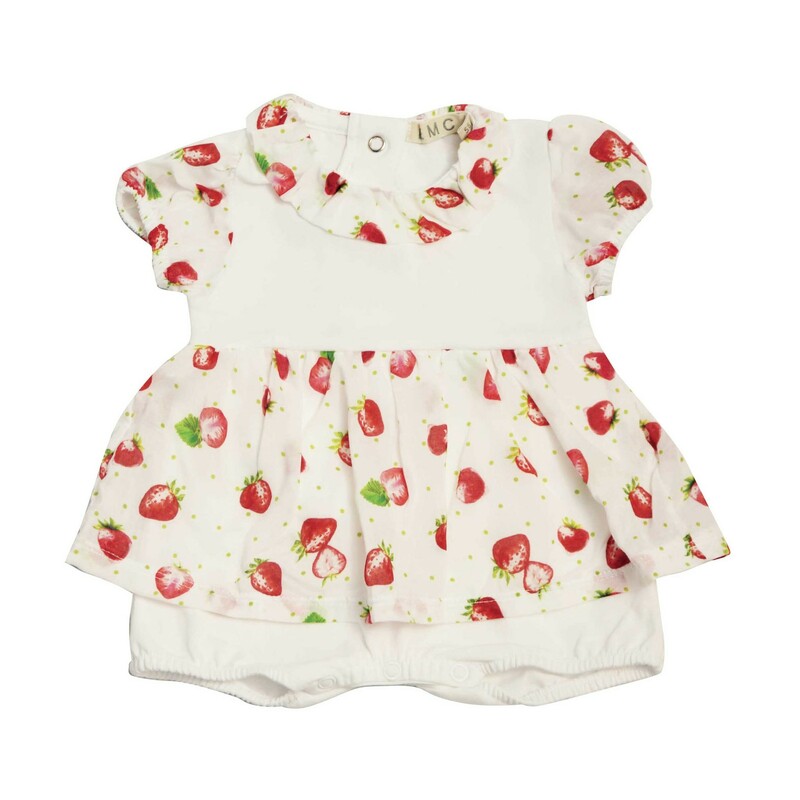 White short sleeve one piece with red imprint and snap buttons on the back. 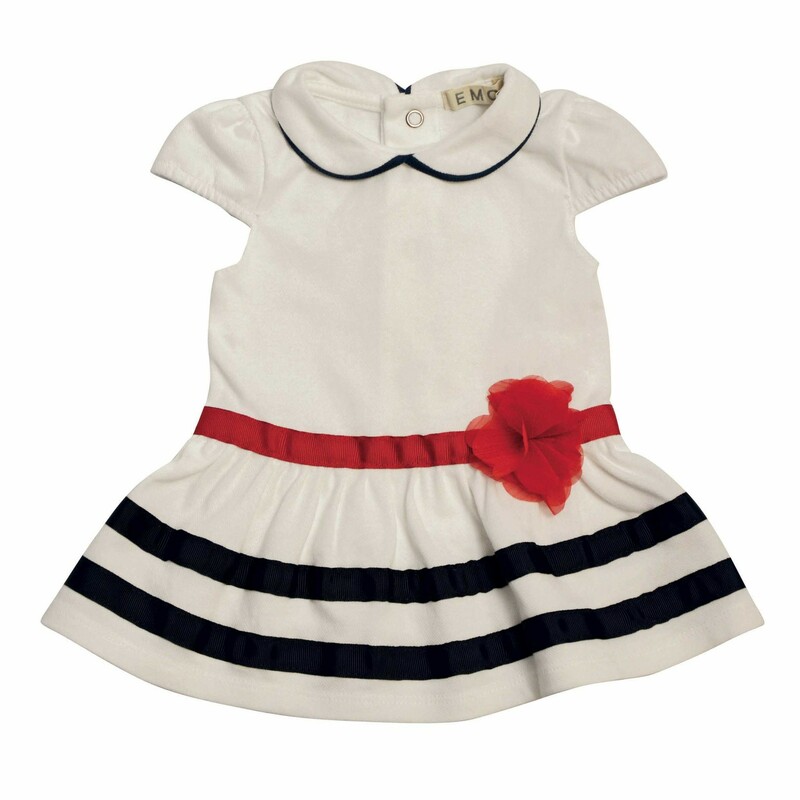 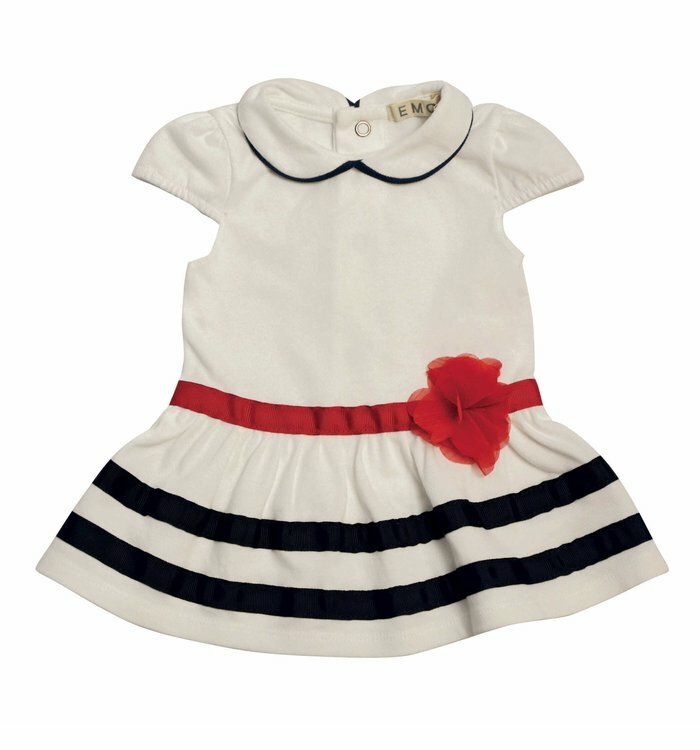 White short sleeve dress with red and navy blue stripes and snap buttons on the back. 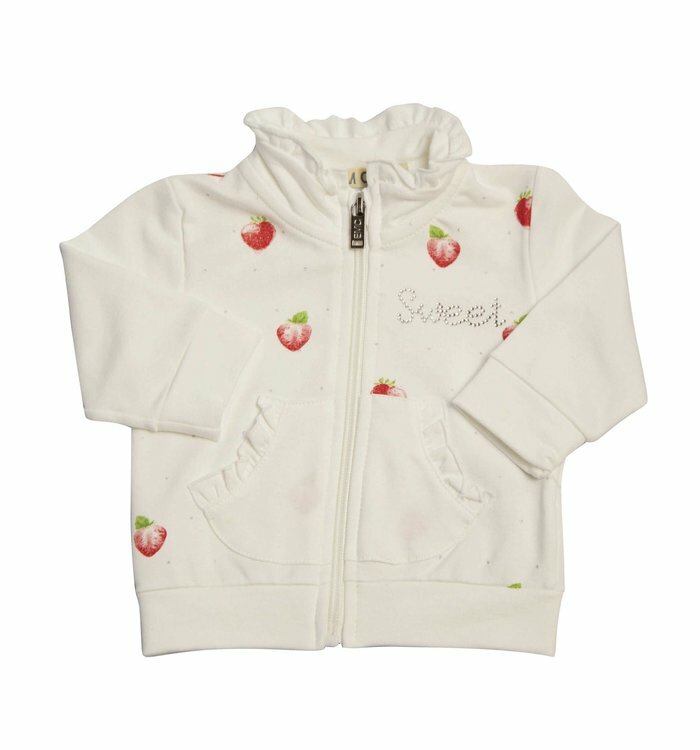 White long sleeve cardigan with red imprint and a zipper on the front. 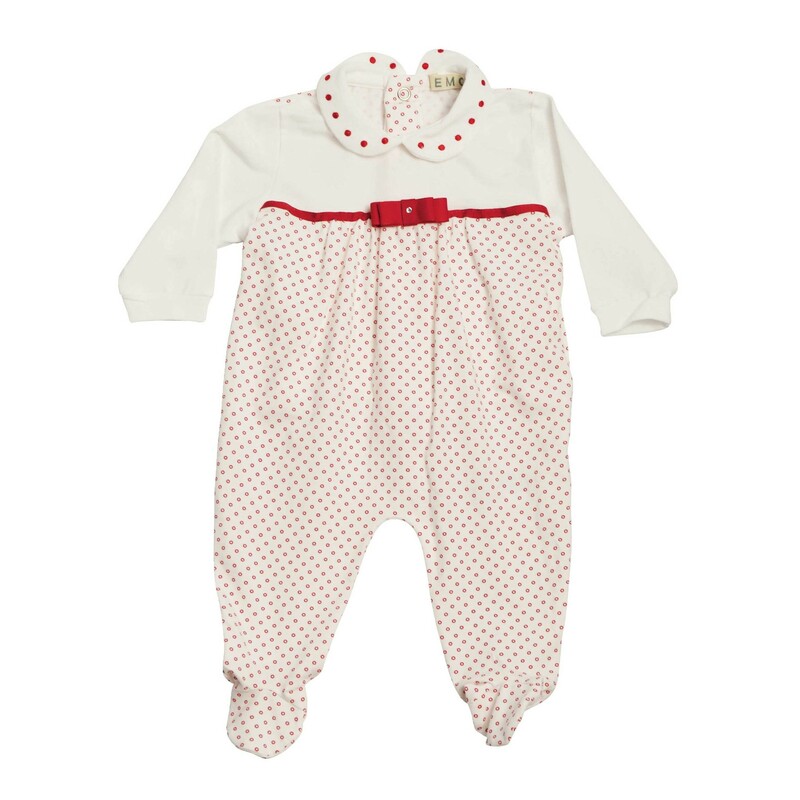 White long sleeve pyjama with red polka dots and snap buttons on the back and between the legs. 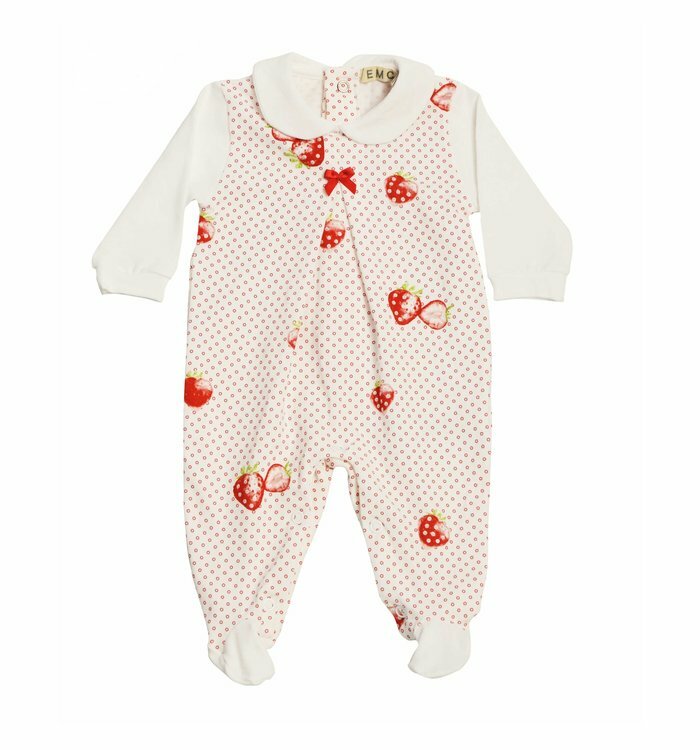 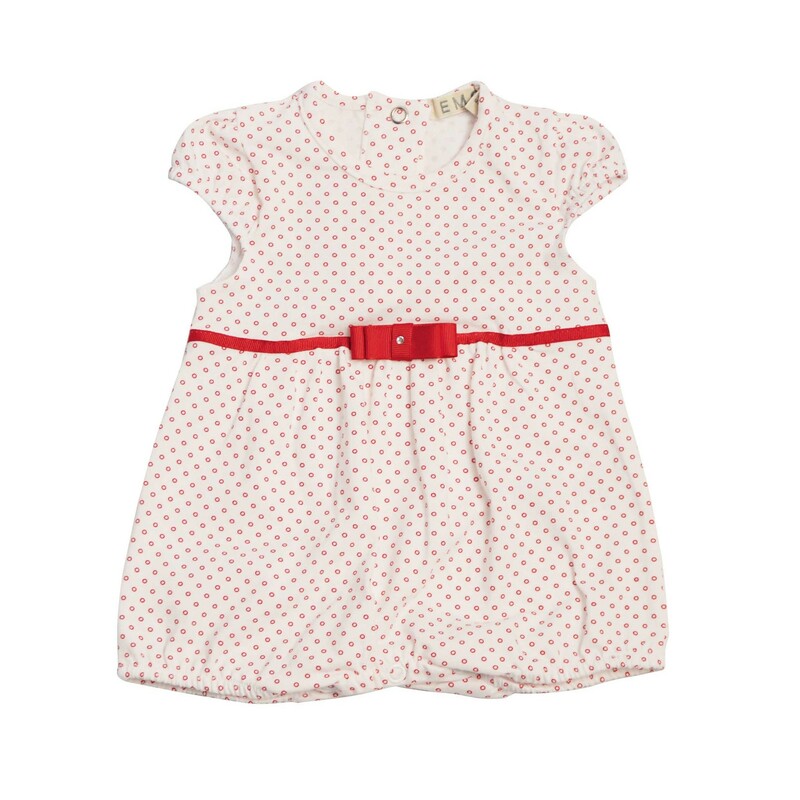 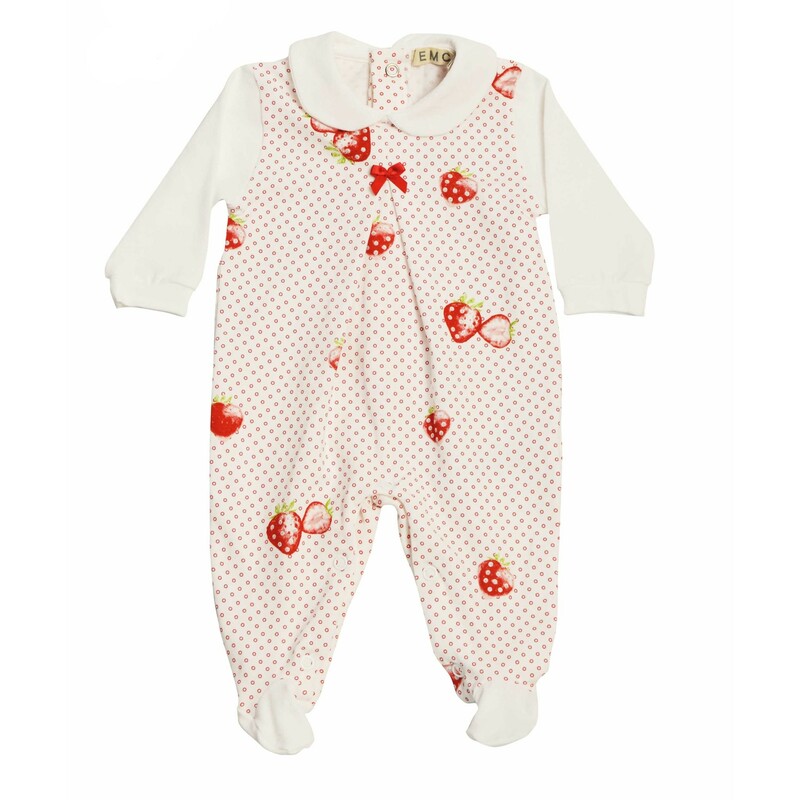 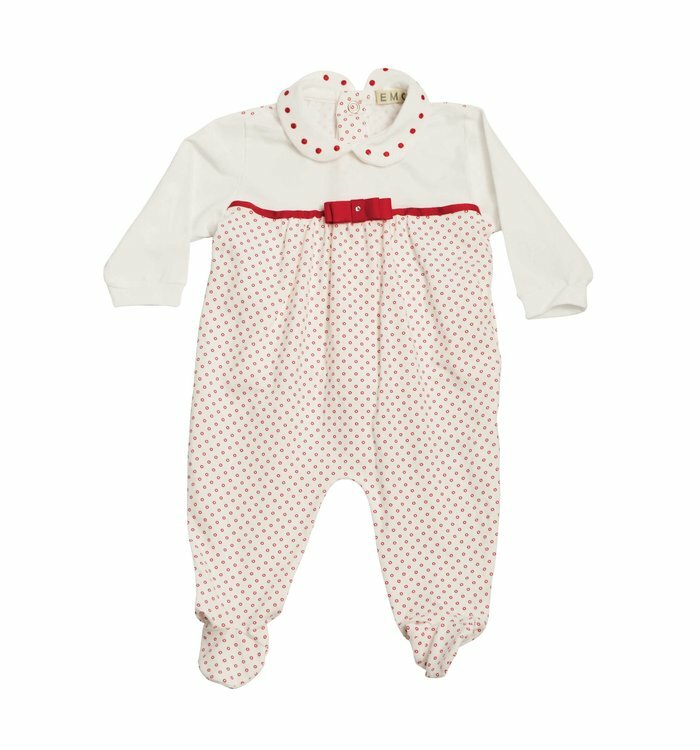 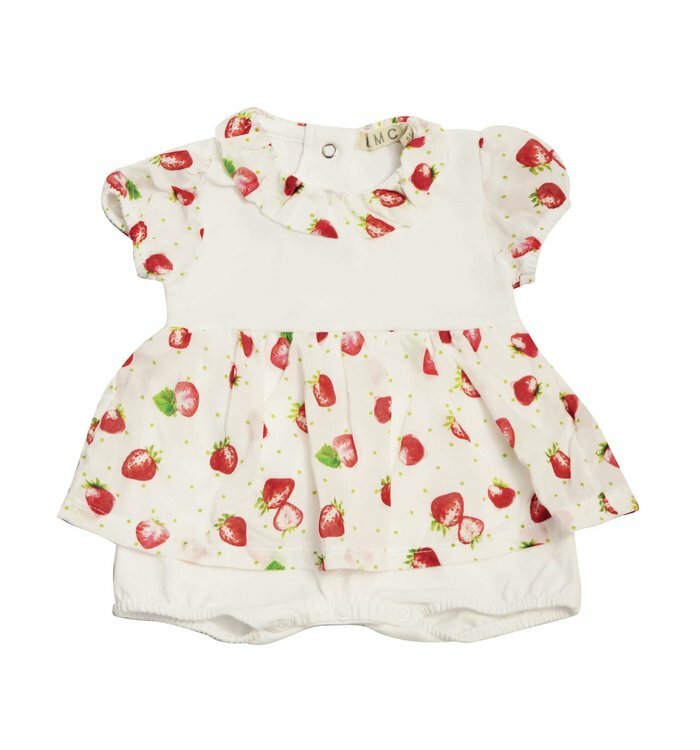 White short sleeve one piece with red polka dots and snap buttons on the back and between the legs. 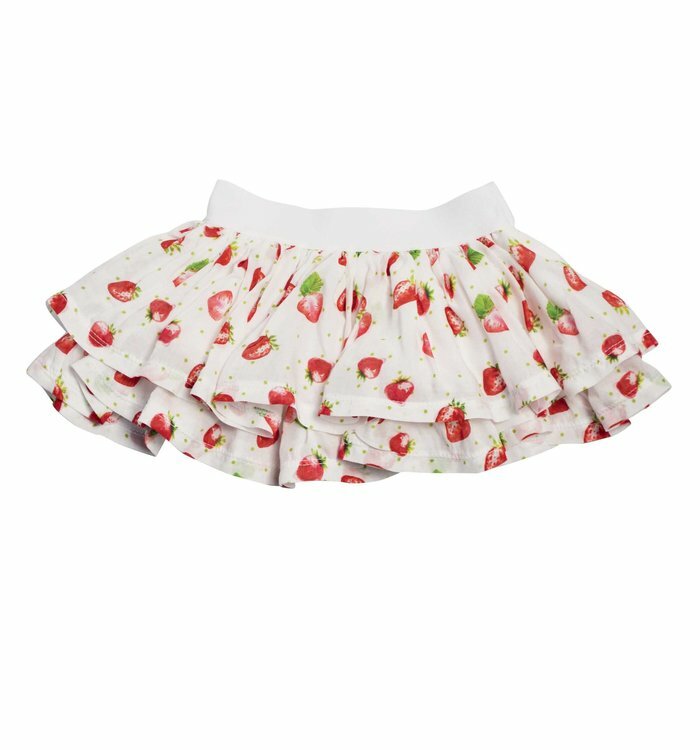 White and pink short sleeve dress with tulle skirt and imprint. 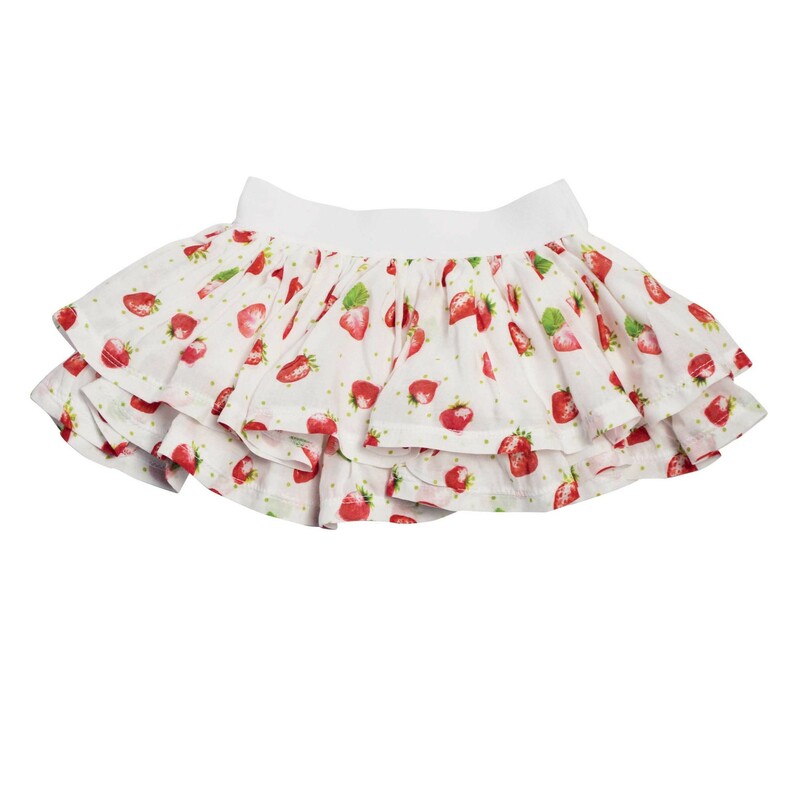 White frilled skirt with red imprint and elastic waistband. 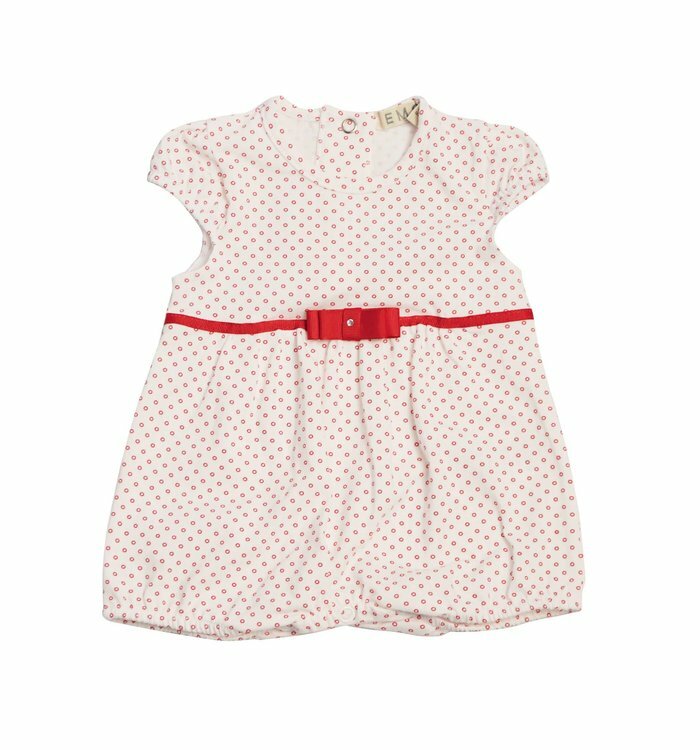 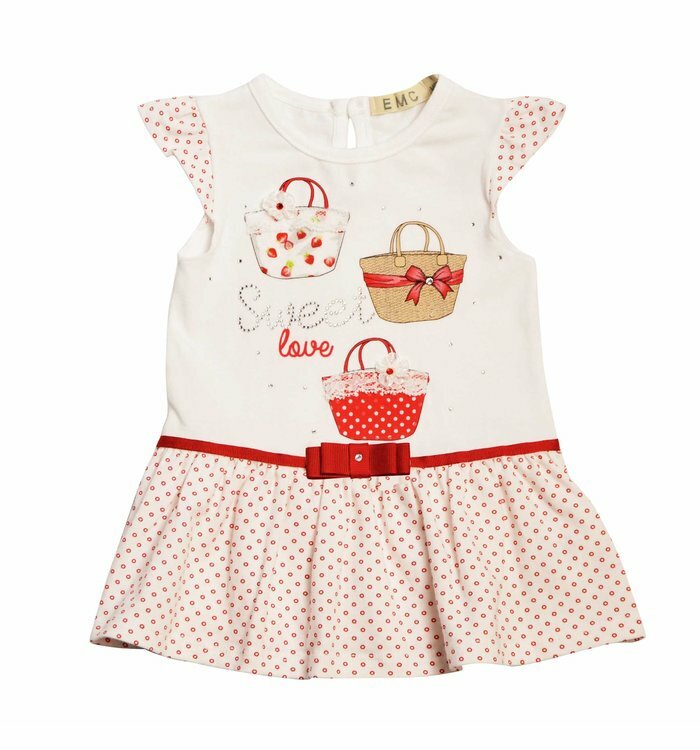 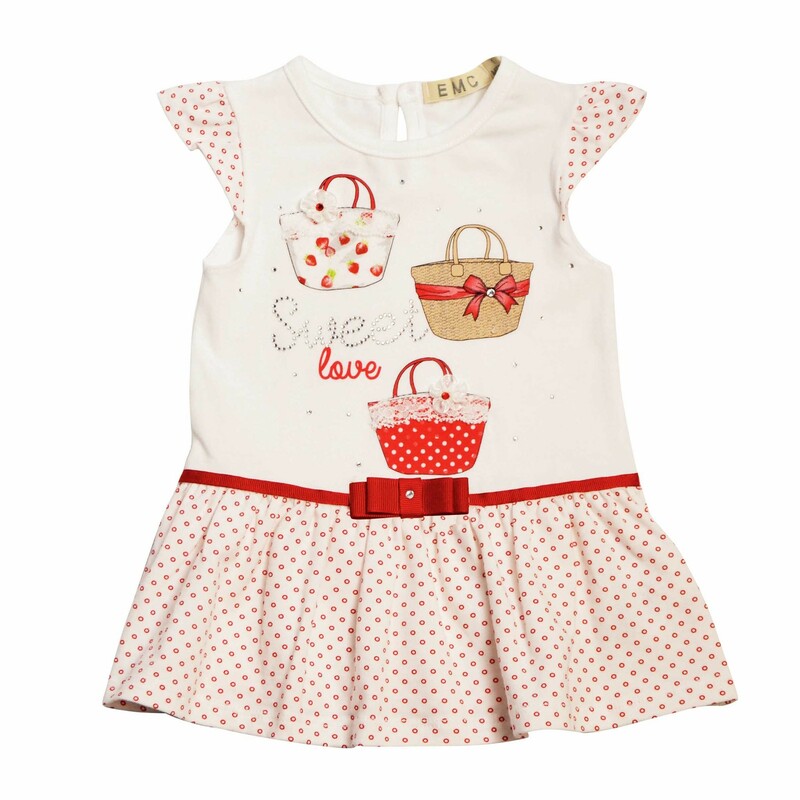 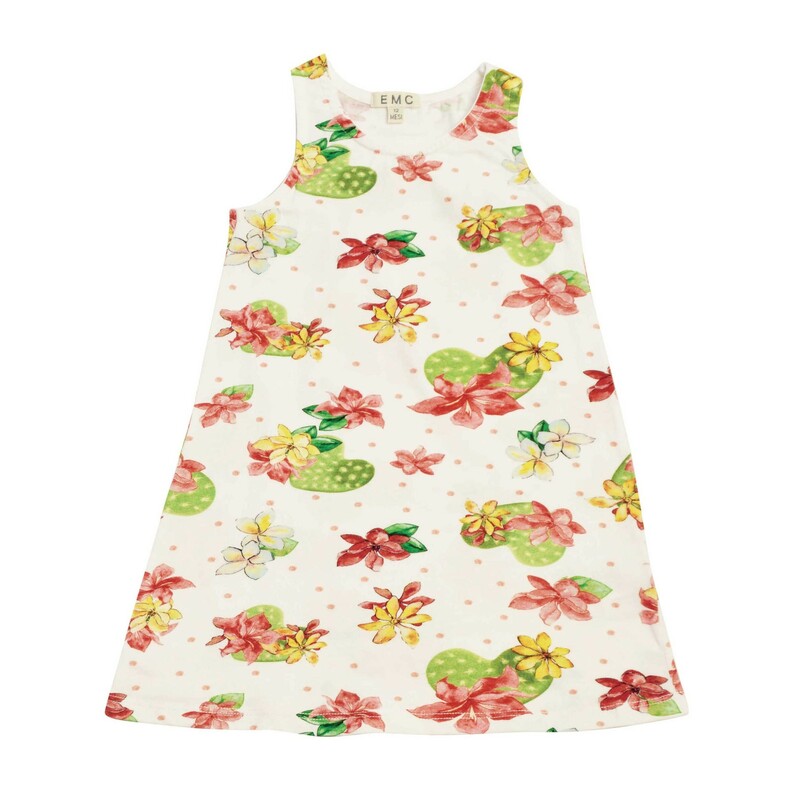 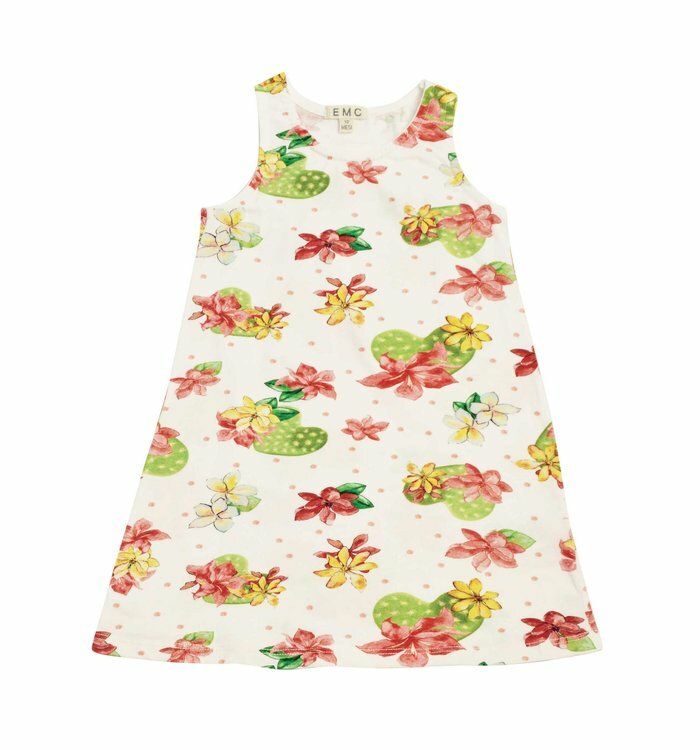 White short sleeve dress with red polka dots and imprint. 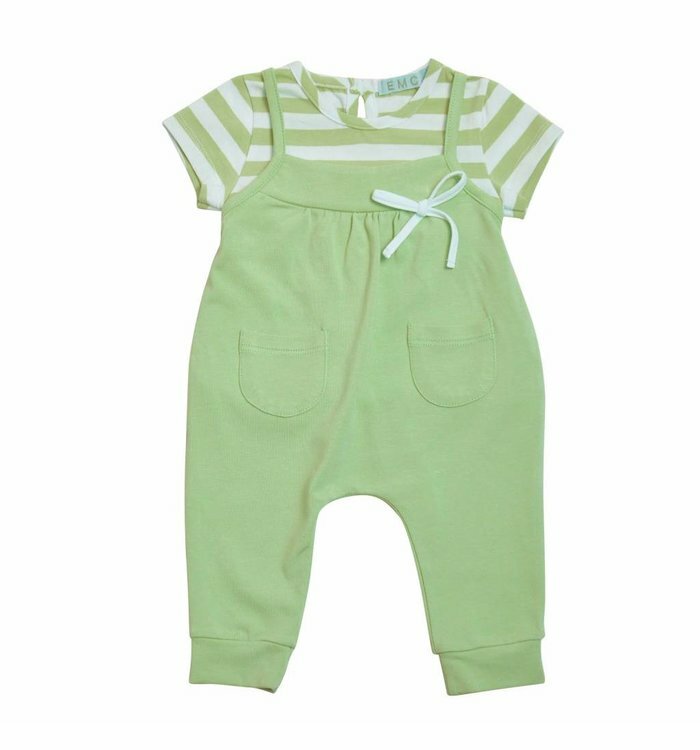 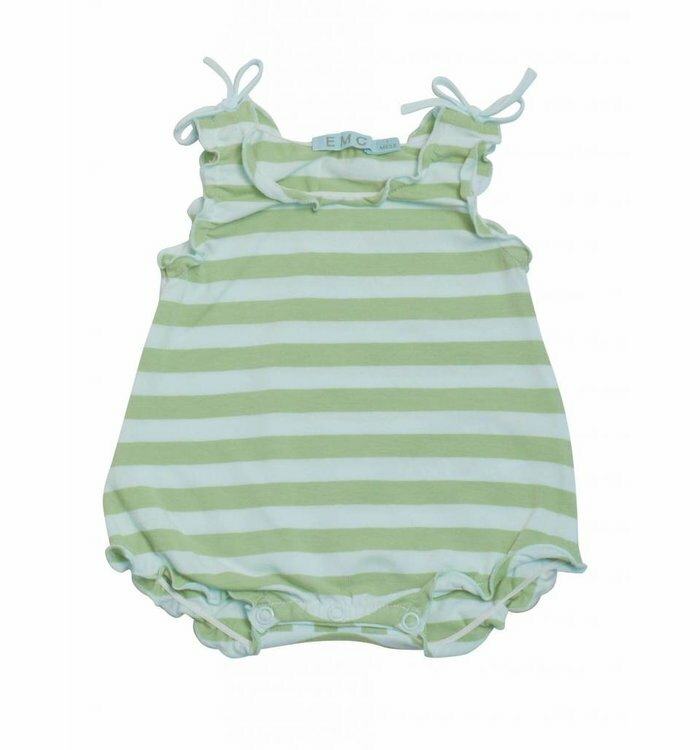 White and green striped short sleeve one piece with bows on each shoulder and snap buttons between the legs. 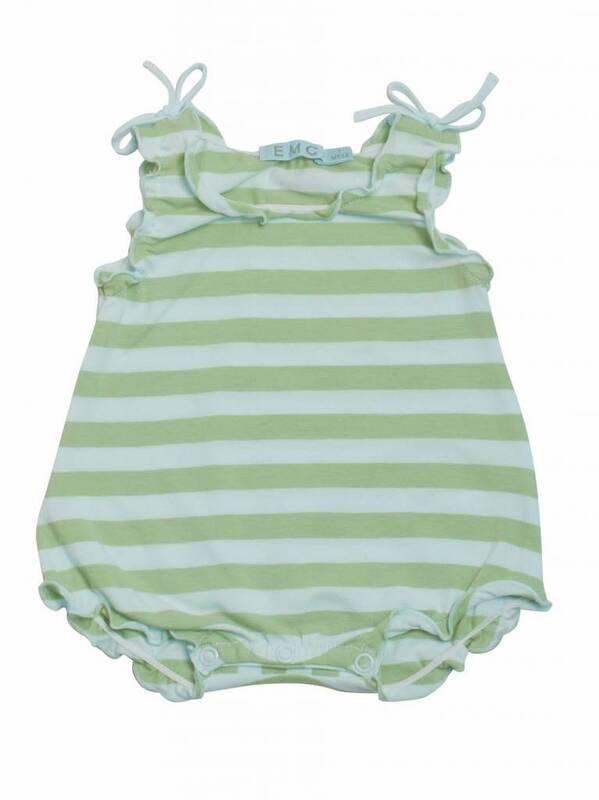 Green and white striped long sleeve one piece with a button on the back. 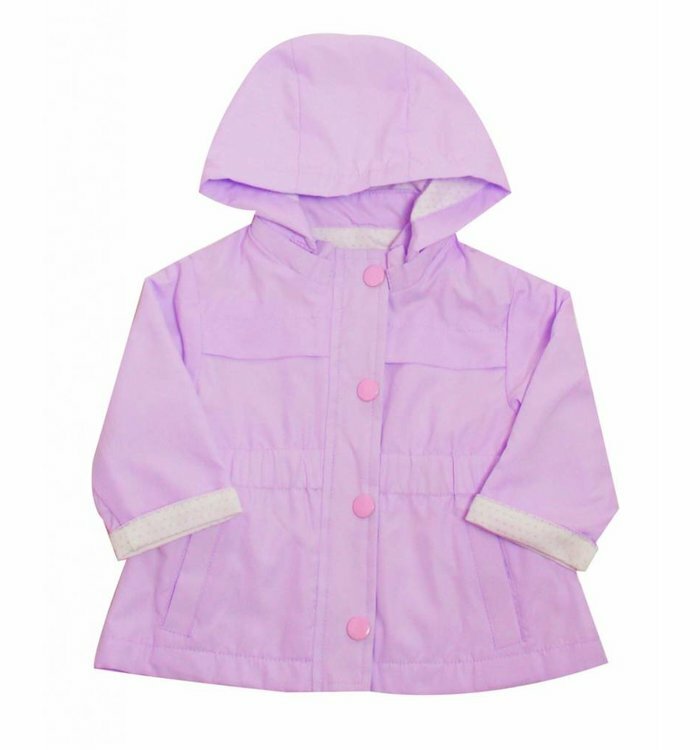 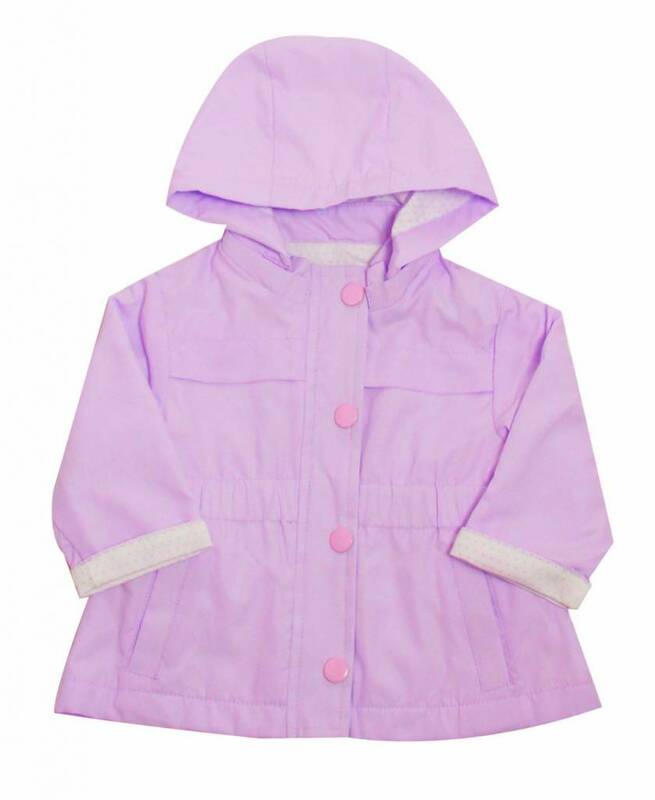 Light pink waterproof jacket with a zipper on the front and a removable hood. 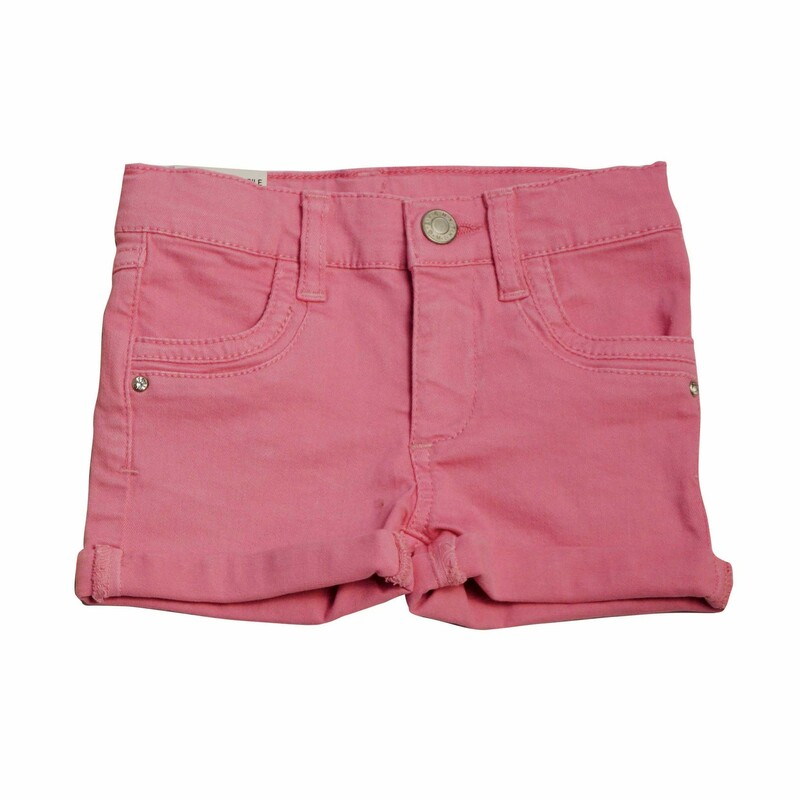 Pink denim shorts with adjustable waist and pockets. 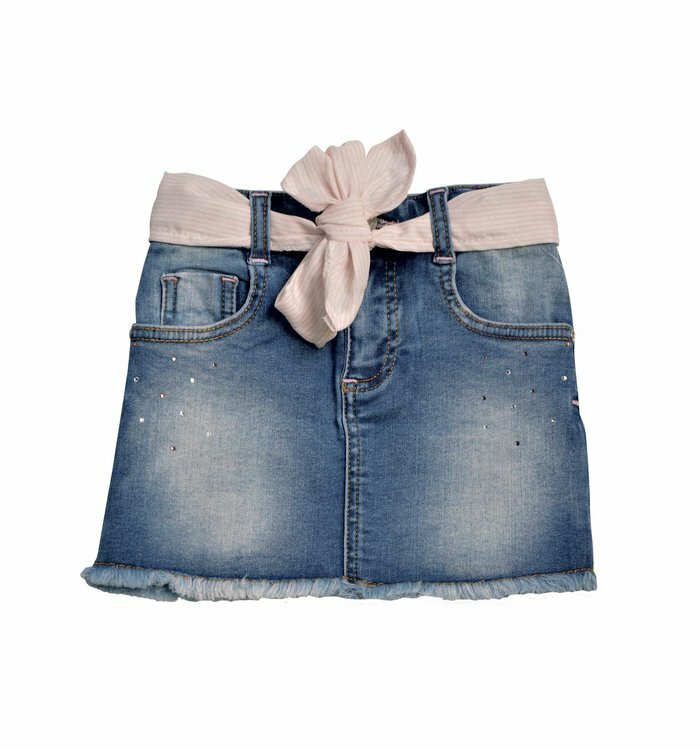 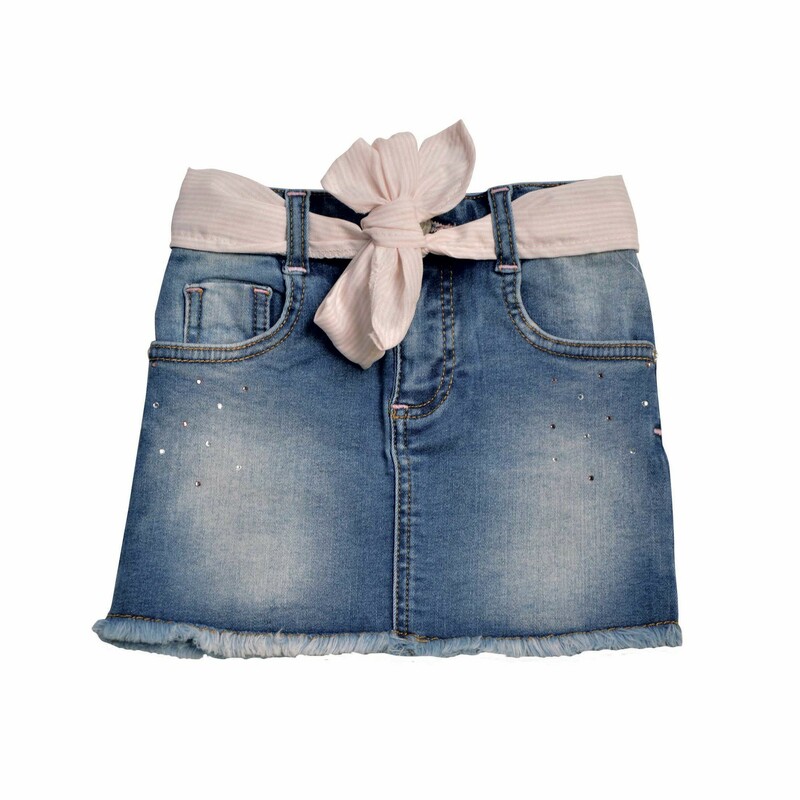 Blue denim skirt with adjustable waist, pockets and a pink belt. 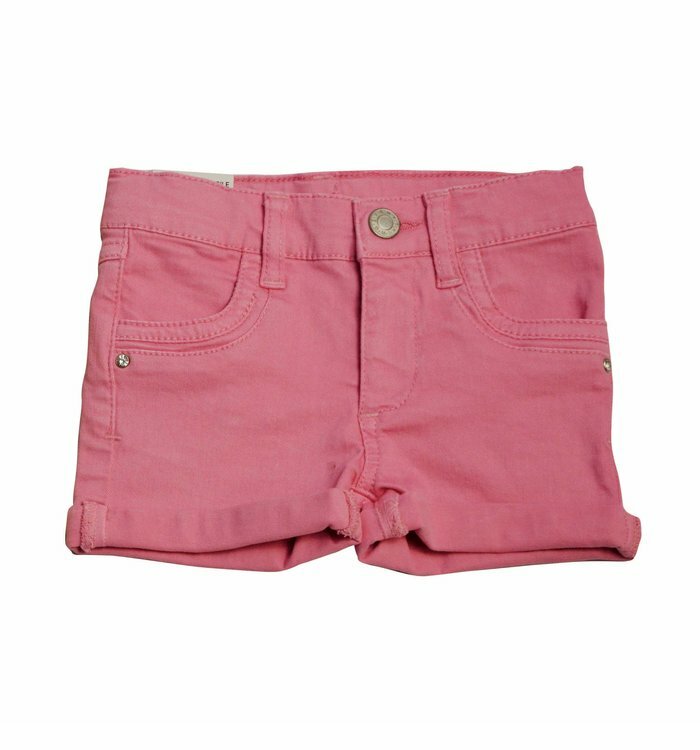 Pink t-shirt with silver diamond studs and a button on the back. 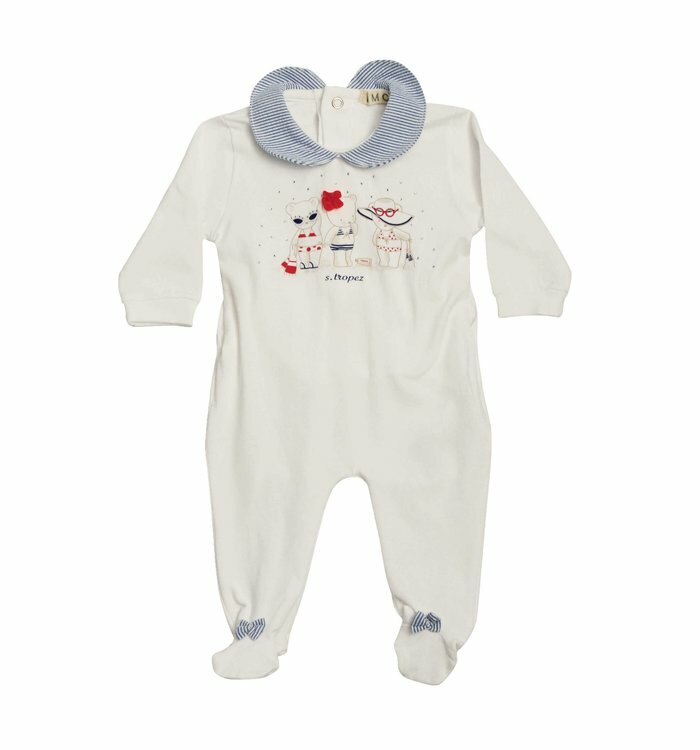 White satin camisole with flower imprint. 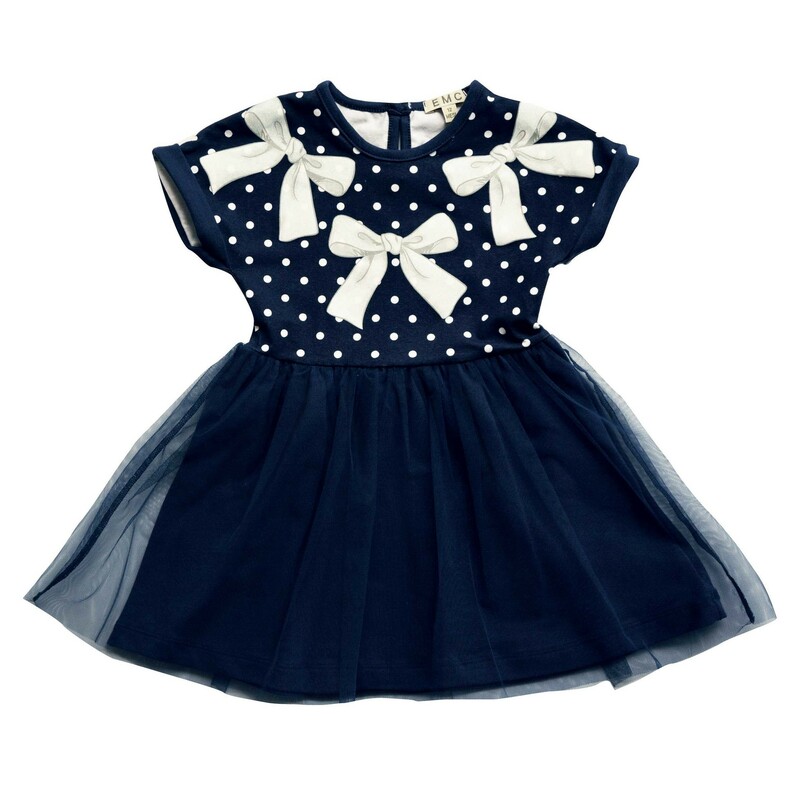 Navy blue short sleeve dress with tulle skirt and white polka dots.